We are an eminent organization that is engaged in manufacturing and supplying a wide range of Air Pollution Control Equipments. These products are widely used in power, cement, glass, biomass, steel and refineries for environmental control, waste incineration and emission monitoring. In addition to this, we provide tailor-made solution for all these products as per clients’ demands and needs. 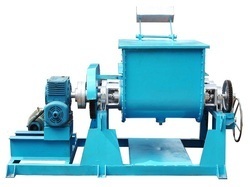 Stand Mounted Variable Speed / Fixed Speed tilting type mixer. Application: For Mixing Thick High Viscous Paste, Slurry With The Solids. Motor Hp- Upto 10.0hp / Available In Flameproof & Non Flameproof Version. MOC: Contact Parts- SS 304, SS316, SS 316 L, Alloy 20, Hastelloy C, Non Contact Part- Ms Powder Coated. Special Features : Highly Viscous Material Can Be Unloaded Easily.